DeVere recognizes that nothing is more important to a health care facility than cleanliness and sanitation. That’s why DeVere chemists combine research with high technology to develop the most up-to-date, powerful cleaners and disinfectants on the market. DeVere disinfectants and sanitizers are available as economical concentrates or convenient aerosols, are effective against most common bacteria, and have a rapid kill rate. DeVere all-purpose cleaners penetrate the toughest soils on countertops, shelves, vinyl chairs and vending machines, wash away black marks, dirt and fingerprints on walls and doors, and remove soap scum, grime and body oils from restroom fixtures. DeVere glass cleaners clean glass, mirrors, Lexan, Plexiglas and acrylics safely and without streaking. DeVere floor products include carpet stain removers, carpet extraction equipment detergents, neutral cleaners, strippers and high-solid finishes for waxed floors, and aggressive tile and grout cleaners that even remove black heel marks. DeVere food service products provide everything the facility needs in its kitchen, cafeteria and snack bars – from commercial dishwashing products and food equipment cleaners to tabletop sanitizers. 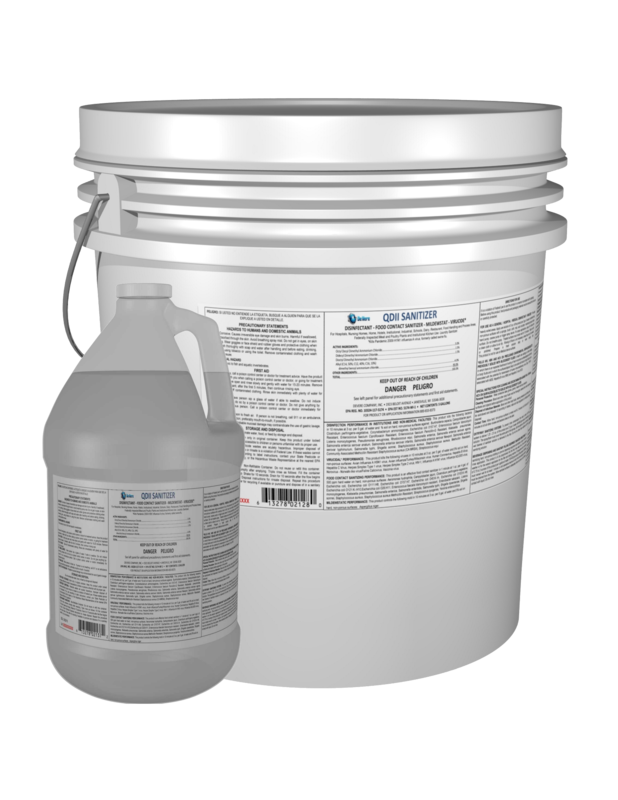 DeVere laundry concentrates include detergents, builders, sours, softeners, pre-spotters and reclaim products. The result? Clean, bright and sanitized linens. With DeVere’s array of hospital grade cleaning products and disinfectants, health care providers may be confident that they are providing their patients and staff with the cleanest, most sanitized environment available. QDII Sanitizer is a disinfectant, sanitizer, deodorizer, mildew-stat, and virucide – all in one! Designed for Hospitals among many other places. This product is EPA registered as a food-contact sanitizer as well as a general purpose hard and soft surface sanitizer. 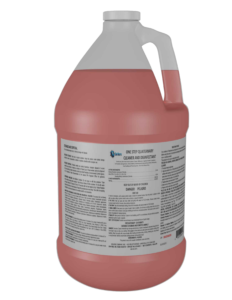 One Step Quaternary Cleaner and Disinfectant is an EPA-registered Disinfectant, Non-Food Contact Sanitizer, Cleaner, Mildewstat, Fungicide, Virucide* that can be used on excercize equipment and has a Crisp Orange scent. Disposable gloves. Multiple varieties available, for many different uses. Powdered or powder-free Disposable Gloves. Available in sizes medium, large, and extra large. Use Fresh Start® Disinfecting Wipes to quickly and effectively clean and disinfect hard non-porous surfaces. Fresh Start® Disinfectant Wipes will kill most viruses and bacteria including HIV-1, MRSA, Norovirus and Influenza A viruses. This product is an aerosol that is effective in eliminating flying insects, as well as a variety of other pests including ants, bees, earwigs, japanese beetles, and many more!